Miami Crime Simulator 2 is a playground of chaotic gamer’s. Why? Because in this crime simulator game your objective is to eliminate competitors Mafia henchmen. Just for a brief because who play android open world games for their mission, you are working for Mafia and you need and deserve Mafia respect. Just like you need money to buy arsenal. 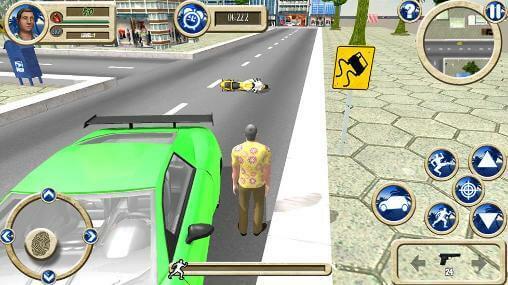 This android open world game gives you the feel of classic GTA Vice City in so many sense you can’t believe it. First, the main protagonist in the cover video resemble everyone favorite henchman Tommy Vercetti and his iconic shirt. 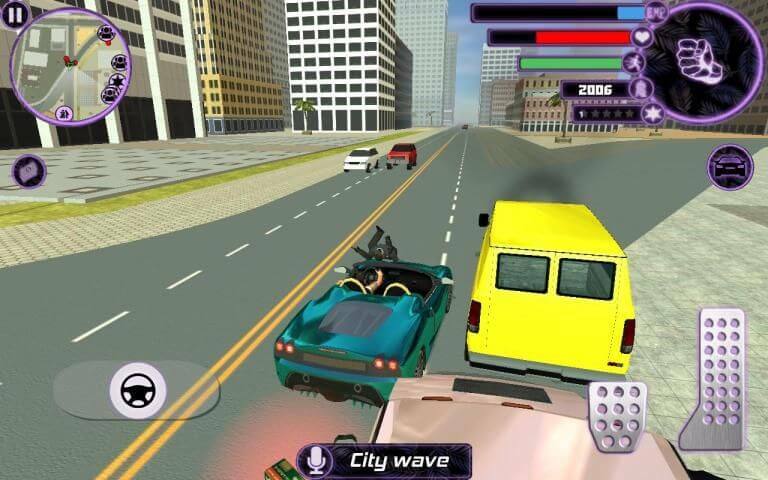 The other thing is Vice City is inspire from Miami which is the main location of this game. 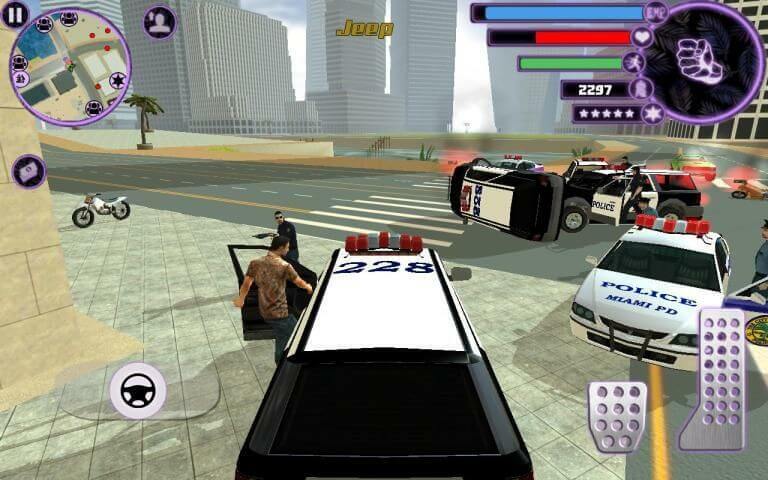 The font used in this game also resemble the GTA VC font. The main player has some ability like health, offense which upgrades while playing game. In Game mission also affects its ability as well. 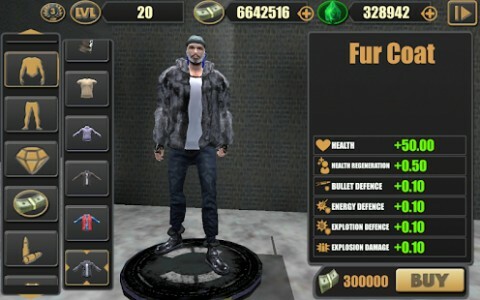 In this Crime Simulator game, fun is the main objective. Whether you’re going to run up your bicycle over pedestrian or blow them up with your RPG. It is important to have fun with their funny physics. Because physics works in this game perfectly. Don’t compare it with Grand Theft Auto, though. Talking about the town, we have a town filled with peds including punks, mafia and businessmen and variety of vehicles. Even though the building only has base non-enterable models. But, it looks good on the surface. You have variety of vehicles to drive, ride or deconstruct including Car, Bike, Motorcycle, Hummer, Helicopter and even Tank(s). Though tank is only available on some AREA 69 like secret base. The beach side has peds doing fun time (not s$x), seagulls crying, the sound wave of sea water hitting the shore. There is also a desert which has the base which I talked about. Talking about the gameplay, this open world android game is fun to play. They have tiny mission to destroy a lead of henchmen which are abstract on this kind of games. Some missions included collecting packages to earn quick cash. Missions in this crime simulator game are lying around on your map and you can easily found they via blips. 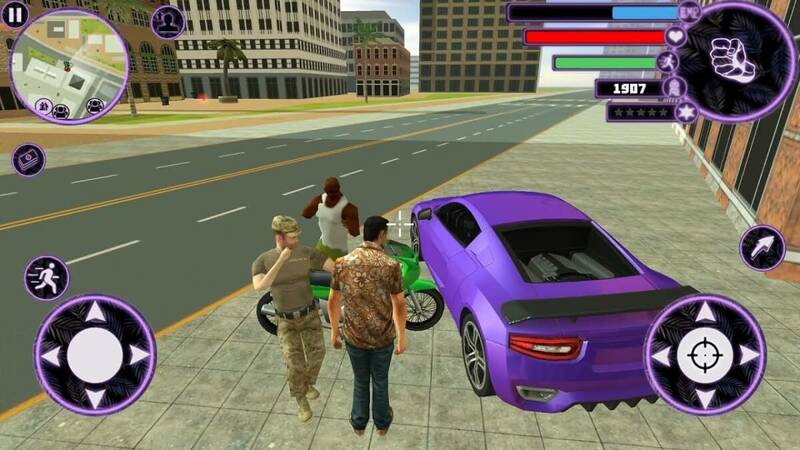 But the good part is that the developer try too hard to make this game look and work like old GTA games. And they somehow succeed because they got 10,000,000+ installs on this game with very positive feedback. This game allow you to change graphic settings. It include view distance, graphic quality which are Low, HQ, High and Ultra. Also, you configure the Traffic Density. 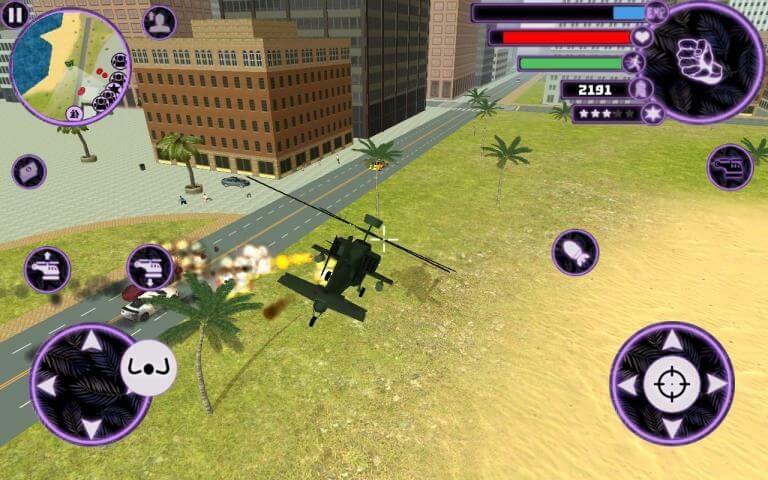 Now its your time to decide whether this best open world games for android like GTA is good to play or not.